Daughter-in-law of John A Kilcoyne Chairman of Horwich Urban District Council 1934-35. Wife of John Kevin Kilcoyne, Mayor of Horwich 1984-85. 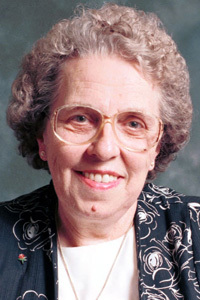 Mother of James Michael Kilcoyne, Mayor of Horwich 1999-2000. Opened Horwich Resource Centre in 1991 and served as both the Chair and Vice Chair of its Management Committee. Was awarded Horwich Town Council's Civic Medal in 2009. She was Mayoress of Horwich three times and also served as Mayoress to Kevan James Helsby, Mayor of Bolton 2001-02.